Di Lady- WHAT A MARE! 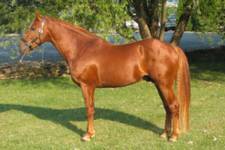 RID mare Di Lady is the dam of the recently approved RID stallion Bridon Glenmore and the 2006 Supreme Show Champion. 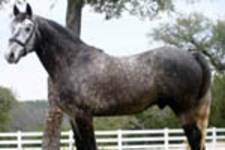 Bridon Glenlord (Glenlara ex Di Lady) was approved as an RID stallion on the 2006 inspection tour. 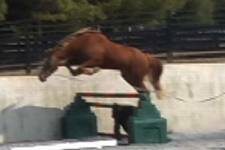 Congrats to Christine Bergeron at Cadence Ranch for raising such a lovely stallion. Congrats to Michelle and Larry Robbins of Kilronan Irish Draughts for producing both the 2006 IDHS(NA) National Champion and Reserve Champion Foals. Bridon Lady Luck (It's the Luck of the Irish ex Di Lady) was awarded 2006 IDHS(NA) Supreme Champion. This makes the 3rd Supreme Champion for Bridon Irish Draughts! Glenlara passed away peacefully in his stall. He will be missed by all that knew him. Queenie Wahine has been jumping three weeks in a row against some serious competition. 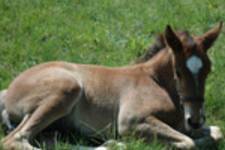 All the 2006 foal have arrived. In all our years breeding, we have never had a more correct bunch o' foalies. Check out the youngstock page for photos and more information on this year's babies. Happy Birthday to all BID babies!! Normally we send a birthday card to all BID babies we have had over the years. Due to an overwhelming spring, we just didn't have time this year. 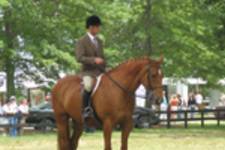 BID trainer Martin Deer took three Irish horses to Keswick Horse Show on May 17-20: RID stallion It's the Luck of the Irish, RID mare Tully's Dancer and AID superstar Queenie Wahine. 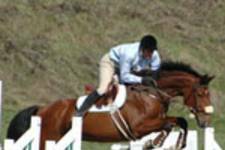 Glenlara breeds outstanding foxhunters. Read report from Ireland. Read an excerpt from Charlie Rimpan's January 14, 2006 Hunting Journal with the South Union Foxhounds in Co. Cork, Ireland. RID stallion Bridon Glenmore has been brought back into work this spring as a 4 year old after being turned out after his inspection last fall to further mature. Shown here freejumping in late March 2006 (jump is 3 ft 9 inches, wall behind him 5ft). We are pretty excited with the talent Glenmore demonstrates with every new challenge.